Colorful kim-bap from Korea, Eggplant with Ground Beef from Morocco, fragrant steamed dumplings from Japan, delicate hot tamales wrapped in banana leaves from Guatemala, Zimbabwean greens and salsa, Mexican empanadas… No, it was not a new elegant cosmopolitan restaurant in Philadelphia, but the Annual Tutor/Student reception of the Volunteer English Program. As Thanksgiving rounds the corner, it was the perfect time for the staff and board of the Volunteer English Program to express our deep gratitude to the 170+ active student/tutor pairs, who work so hard and meet twice each week in order to accomplish the goals and dreams of adult immigrant English language learners. 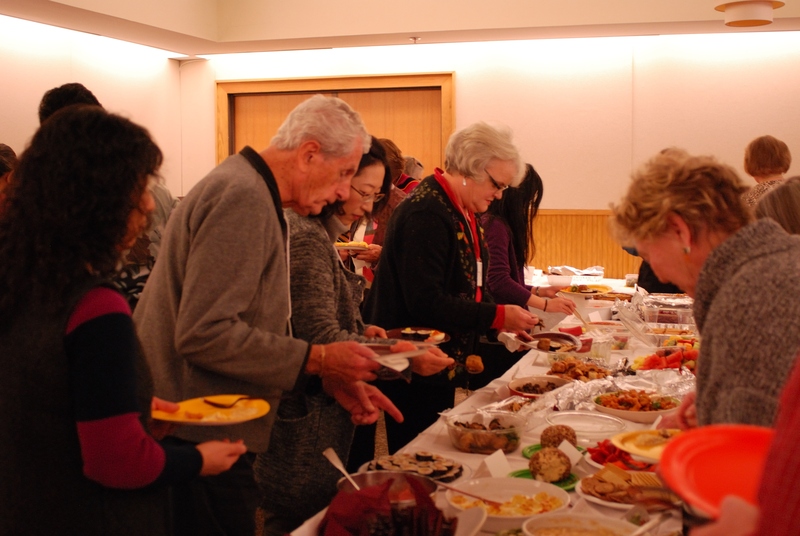 Almost 100 tutors, students, friends, family and board members brought delicious pot-luck dishes from their native country or family to the reception on Saturday, November 16. The foods listed above are just a small sample of the diverse international offerings, representing our students from all over the world. 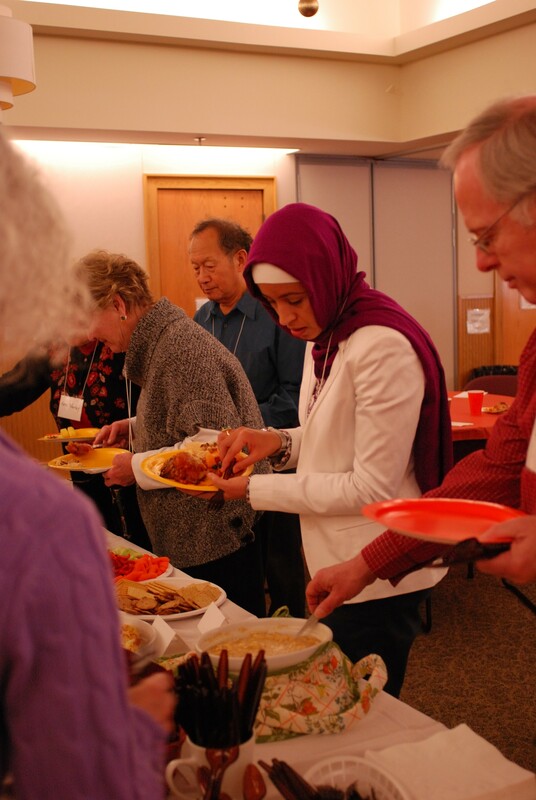 Honoring the contributions of our dedicated tutors and the accomplishments of our determined students, the annual reception gives the pairs who regularly meet one-to-one in the community a chance to join together. Two students, Isabel Francisco, from Mexico, and Natalya Kuzovleva, from Russia, bravely spoke to the audience about their experiences with the Volunteer English Program. Honored Tutor-of-the-Year, Christina VandePol, also spoke of her commitment to ESL education and the special needs and struggles of immigrant adults. VandePol was honored with a citation from PA State Senator Andrew Dinniman. Also presented with a citation but unable to attend the reception was VEP Board Member Sue Heist, a long-time champion of VEP, instrumental in mission and logo development and a notable fundraiser for the organization. Thank you, to all of our tutors, students, and friends. 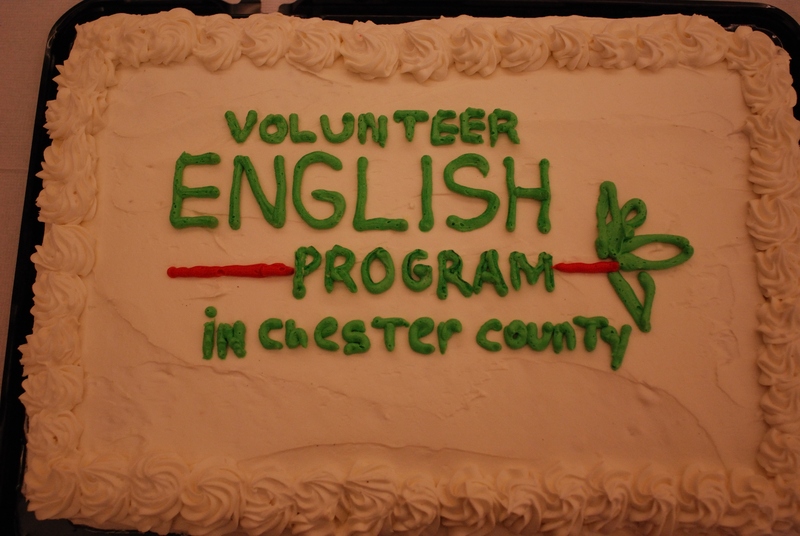 The mission of the Volunteer English Program is accomplished through your generosity and time.